Sichuan: Xinlong Xian. Road (highway 217) from Xinlong to Ganzi (Garze) along small tributary of Yalong Jiang. Dry slopes dominated by Salix, Hippophaë, with Betula, and along a stream to Picea forests and rocky cliffs above River. 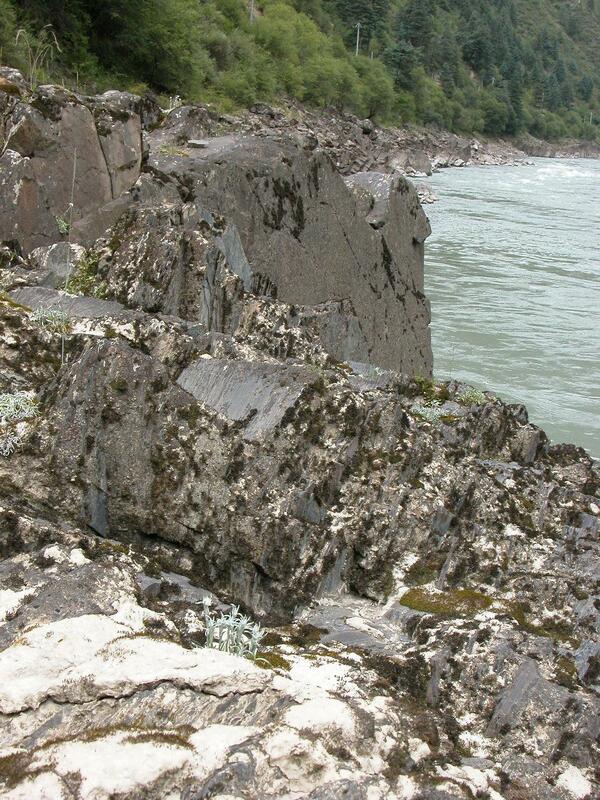 31°10'10"N, 100°18'4"E; 3125 m.
In sand on cliffs above river and in rock crevices and in shade of Salix. Corolla blue.